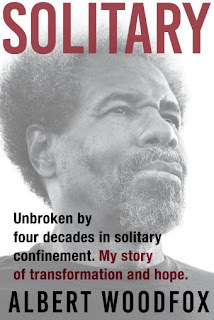 This is a tale of oppression, false charges, racial prejudice, and the loss of loved ones. 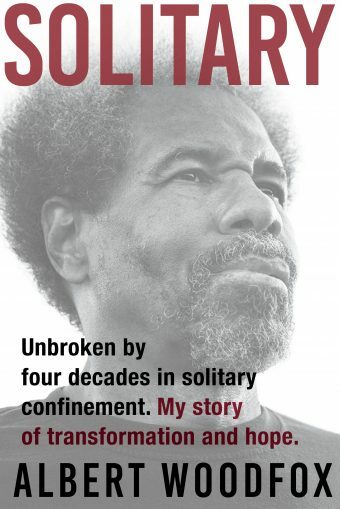 It's the story of someone who spent over 40 years in jail. Mostly in solitary confinement. The saddest part is that is a true story. This is non-fiction. The story horrified me. Grove Press sent me ARC of this book to read for review (thank you). It will be published March 5th. This a very chilling story where justice wasn't served correctly, wardens could punish you with false charges and trying to appeal was being ignored. Mr. Woodfox had more patience than I do and he kept his hope alive even if they tried to tamp it down. What helped him get through it were his friends in jail, his family, and the supporters who knew he was not guilty of the crime he got convicted on. He went to jail as a young man. By the time he came out, he had great grandchildren. His mother and various friends died while he tried to while his time away. Sorrow was a big part of his life, but he tried not to show it. Just like he didn't show his anger. Hiding emotions gives them nothing to use against you. Such blatant racism seems like it couldn't be but they are still killing black men because they are afraid of them. Most of them didn't have a weapon but the cops are on high alert and overreact. In this story, since the warden cooked up the crime, they didn't want to let him out because he'd talk about it. And not only that, he became part of the Black Panthers group. Whites thought they were militants. They were trying to protest the wrongs in the world but they didn't harm people. The most depressing part of the situation is that such racism is still here. Anyone of a different color, religion, or different cultures is still viewed negatively. I was taught none of that mattered. If you were nice, you could be friends with me. If you treat me badly, no matter who you are, I will stop being friends. We're all human, why not be kind?